Hello. Thank you for visiting. 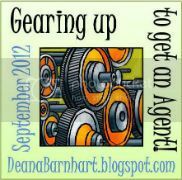 This month has been really exciting for me because I’ve been participating in Deana Barnhart’s Gearing Up to Get an Agent. The first week in September, I connected with a whole bunch of fellow writers and future friends. Then in the second week, I put Dark Bringer’s query and 150 of its beginning words into the Pitch Polish. Lots of commenters helped me hone and hammer the query especially and I think we came up with something better. Fifty entries, those with the most votes, finalized and got to go on to Agent Pitch Contest Round 2 where actual agents will visit and hopefully request manuscripts. Dark Bringer will be one of those! Here is the improved query and the first 150 words. Sometimes it makes sense to fear the dark. In the enclosed city ofNew Theta, where imagination can string particles of darkness together to form monsters, people fear the shadow fiends just an unguarded thought away. Imaginatives–those who fantasize–are criminals. Lights blaze 24 hours a day. Electricity is king. The dark doesn’t bother Jenvee Cohan, an electrical linesperson who maintains cables in shadowy tunnels. Ever since she inadvertently summoned the darkness that spirited her grandfather into the Void, the netherworld outside the city, she’s sworn off imagination. That is, until a conjured nightmare throttles Agent Reese Bannon, the Bureau of Light Enforcement’s chief dark-buster in Jenvee’s sector. She breaks her vow by saving the agent’s life. He should be grateful Jenvee’s selfless act keeps him alive. Instead he tags her as his number one person of interest. And the trouble only begins there. Jenvee’s rekindled imagination refuses to return to sleep mode. The specks of darkness won’t leave her alone. Always capering about, they cajole and needle her to give them form. As persistent as the specks and as famous thanks to news videos, Reese, the guy she’s secretly had a crush on, investigates her, further illuminating her guilt. Reese has his own problems–starting with an extreme attraction to Ms. Cohan he just can’t shut down. He’s falling for her against his better judgment, his professional ethics and the fact that she’s an Imaginative like his brother Patrick. Years ago, Patrick messed with the dark and died in the Void, an event that cleaved Reese’s life in two: the brief happy before and the grief-stricken crusade after. 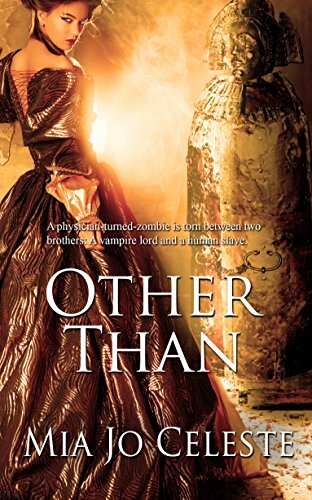 Determined to keep the dark from claiming Jenvee, Reese plans to dog her every action—to do whatever it takes to save her. Nobody said as much, but Jenvee assumed her fatal flaw–her affinity with the night particles–made her first choice for the tunnel crawl when the lights in New Theta’s Third Ward flickered and went out. She wouldn’t ask. Not in the middle of a crisis. Not ever, really. Although she was the newest linesperson, having only received her electrical engineering certificate last May, she strapped on her tool belt and rushed to the maintenance access to repair the faulty wiring. Hand over hand, she scrambled down the aluminum rungs set into concrete. The illumination from above dwindled steadily until her steel-toed boots left the last rung and clicked on the access tunnel’s poured stone. Her fellow workers closed the hatch, cutting her off from the now-distant patch of battery-powered daylight and from their immediate help. She had to go alone. More people meant more minds for the night particles to play with. I have been blogging over at the otherworld diner for quite awhile now so please take a look over there. I will be adding my own posts here soon.